AL is popular science writing of the first order: informative, clear, fascinating, and entertaining.My only disappointment is that it was published in 1992, and thus does not touch on developments in the field since then.I'd love to know how these have panned out, and whether scientists remain enthusiastic about the possibilities of A-Life.Judging from the textbooks on A-life that have been published since 1992, the field is alive, at least, and I can only assume it is well to boot.I'll have to hunt for bibliography elsewhere.My thanks to Levy for sending me on this hunt.AL is a book to fire the imagination.I'd give it 10 stars! A note on the metaphysical material in AL that bears on the question of whether present iterations of 'artificial life' are, or whether future iterations may one day be, sufficiently complex that they should be considered true LIFE: throughout, Levy stresses the essential link between an (')organism(') (wet or dry) and its environment.Yet, it seems to me, in discussing the question of the LIFE-status of in-silico 'organisms', he considers the 'organisms' alone.I wonder whether this apparent preference reflects his own bias, or a bias on the part of the scientists he profiles?From the perspective of emergent behavior and the capacity to evolve, etc., AL 'creatures' self-evidently bear a striking resemblance to biological creatures.It strikes me, however, that a key consideration in the wet-life as LIFE versus dry-'life' as LIFE argument -- is that wet-life organisms express emergent behavior and evolve, etc., in environments that are, throughout, rife with other life, whereas dry-'life' 'organisms' do the same in environments that are otherwise sterile (by the standards that A-Life scientists themselves would apply).Some consideration of how environments contribute to the LIFE-status of particular (')organism(')s, and of any definition of LIFE (wet or dry) itself, seems to be of the essence.Yet another thought to pursue -- though doubtless ethologists, philosophers, and A-Life scientists have beaten me there.Proof positive that AL is a highly thought-provoking book.Read it! I just loved this book. It gives the novice a very good sampling of the future of Artificial Intellegence and Artificial Life. I particularly enjoyed the chapter on the discovery of machine virus'. Somewhat dated, but an extremely good read. It is about artifical intelligence. If you have a computer you will know exactly what I mean. When you hook up a computer, it acts alive, and you gotta interact with it like it is artifically intelligent. Like when I hook up the voice-recognition thing where you speake into the mikerofone, it acts like it hears you too, and does what it is told to do. Sometimes that is to write a letter, or to tell it to go onto the net. I told my computer to go onto the net once thru the mike, and it did it, as it was spoken and said what to do. So if you read and buy this book you will learn to do this, and hook it up yourself. The book has plans and charts to do all this stuff. When you read it, pass it onto a friend, and they may help you once they read it themselves. I gave this book 5-stars, because it was a very good one, and I will now know how my computer is so smart. I told it what to do, and it help me with this revue to. So buy it but just one time, because a friend and other people will be able to read this for free, once you give it to them. Engines are my hobbie, and so are electronic power supplys, so I plan to use this book for that to. I will design new ones that are faster than sound, and my computer will be smart and help me with that. So buy this book, once, and you will like it along with all the friendly people that you knowe.That's my revuiew, but I will do anew one when a new adition of the book comes out to the press. I do recomend that you buy this one time for the people who wanto know about how artifical intelligent computers get smarter and help you with life-things you need to do, but not all by yourselfe, but with a computer. While the concept of artificial life has been around at least since humans developed self-awareness, the commensurate decline of religion and rise of the scientific method was necessary for it to become a point of real debate.However, it was not until September 1987 when the event occurred that established a-life as an academic discipline, namely a conference devoted to its study.This work uses that event as a starting point, and does a superb job of presenting nearly all perspectives, including historical. Like its counterpart, artificial intelligence, the discipline of a-life suffers from a lack of definition. There is no agreement on what life or intelligence are.Additional disagreement arises over the following distinctive descriptions of life. (a) Objects such as rocks can be assigned a life (intelligence) value of zero and as we moveupward to humans and beyond, the measure of life (intelligence) characteristics isdescribed by a smooth, continuous function where the first derivative never becomes very large, but is always positive.There is no clearly discernible boundary between life and non-life. (b) Starting from the same initial position as (a), the derivative stays close to zero for some time, and then suddenly becomes unbounded, as the matter now possesses the fundamental essence of life (intelligence).That point of the vertical derivative is the boundary point between animate and inanimate objects. Much of this book deals with cellular automata and the algorithms used to create them.Like so many new, perhaps revolutionary disciplines, the major players tend to be free spirits.Many of the people described here bounced around before finding their ecological niche in a-life.With the exception of the originators, John von Neumann and John Horton Conway, those who established the study of cellular automata as an academic discipline were academic outsiders who literally created it from nothing.The explanation of that is very well done.While most of the work has been done by computer, no previous knowledge is necessary to understand the text. One item could have been better handled, but that is largely due to the problems with definitions.Like the workers in chaos, a-lifers tend to see what they want to see.For example, simple rules are used to create an image that either looks or acts like something known to be alive and this is used to argue that life is being created or that the rules that create life are simple.Which is an extremely weak argument.What is being created are items that human eyes interpret as looking like life, and as all psychologists know, the human brain processes images with a bias towards previous experience.The devil's advocate against is a shadow here.However, it is difficult to argue in the negative when you are aiming at a nebulous target. 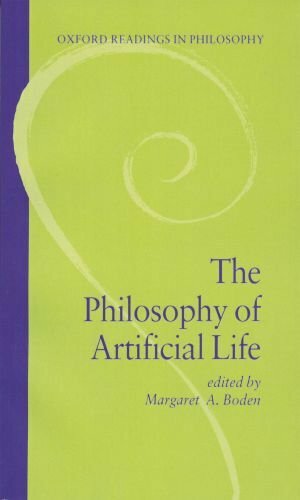 Whatever your interest in a-life, you will find something of value in this book.Biologists and philosophers who teach general education courses will also find a good deal of discussion material.The hypothetical qualification has been removed form the debate, as there are now objects to argue about. I read this more than three years ago, before I started my undergraduate studies. 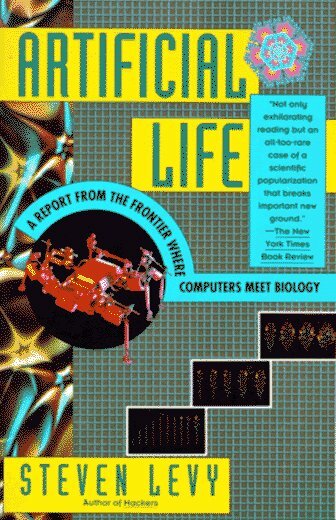 I knew I was going to study computer science, but after reading this book I knew I would forever be drawn to the multidisciplinary fields of biology and computer science. From the question of the origin of life to intelligence, the book convinced me that a new approach is needed to solve these old mysteries. It feels a little wrong to call this a damn fun read, but I'm an ex-EECS geek and love when people write really good histories of (information) science.The intro and first chapter should be required reading for any course on organized and self-organized information systems.They really nicely frame the development and arguments of cybernetics around its key people (Shannon, Ashby, Walter, von Foerster), key concepts (complexity, automata, logical machines, information), and best of all, key objects (Walter's homeostat, von Foerster's Tortoises).It's just a clear, impressive delivery of a broadening field. _Allure_ offers some real gems, like when it demonstrates convergences of AI/AL, and humanistic theory.I'd never expected the frightening similarity between Lacan's drawings of psychic processes, and Hopcroft's state/transition diagrams of finite automata, but I love how similarities like that become building blocks for the book's really clear expositions of later AI/AL experiments.The rest of the book feels like it's drawing together all the contemporary events in AI/AL so that it can explain why those developments are important, how they came about, and how they change the way we understand basic ideas like ecology, evolution, the mind.Like I said, damn fun. Artificial life, or a-life, is an interdisciplinary science focused on artificial systems that mimic the properties of living systems. 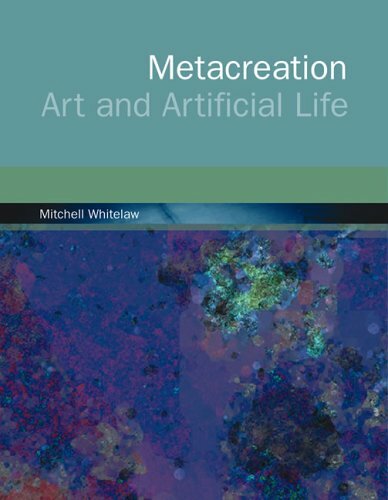 In the 1990s, new media artists began appropriating and adapting the techniques of a-life science to create a-life art; Mitchell Whitelaw's Metacreation is the first detailed critical account of this new field of creative practice. A-life art responds to the increasing technologization of living matter by creating works that seem to mutate, evolve, and respond with a life of their own. Pursuing a-life's promise of emergence, these artists produce not only artworks, but generative and creative processes: here creation becomes metacreation. Whitelaw presents a-life art practice through four of its characteristic techniques and tendencies. "Breeders" use artificial evolution to generate images and forms, in the process altering the artist's creative agency. "Cybernatures" form complex, interactive systems, drawing the audience into artificial ecosystems. Other artists work in "Hardware," adapting Rodney Brooks's "bottom-up" robotics to create embodied autonomous agencies. The "Abstract Machines" of a-life art de-emphasize the biological analogy, using techniques such as cellular automata to investigate pattern, form and morphogenesis. From Conway's Game of Life and efforts by other people, artificial life has been a fascinating field. Whitelaw shows how this has been extended by artists, into fabricating creations that blend computing into art. Is science the new art? Starting from this provocative question, art historian Ingeborg Reichle examines in her book fascinating responses of contemporary artists when faced with recent scientific and technological advances. In the last two decades a growing number of artists has left the traditional artistic playground to work instead in scientific contexts such as the laboratories of molecular biology, robotics, and artificial life. New art forms like “Transgenic Art" and "Bio-Art” have emerged from the laboratory. These art forms differ dramatically from traditional artistic approaches that explore the natural: they have crossed the boundaries between the artificial and the natural, and thus provoke passionate debates about the growing influence of science and technology. This first comprehensive survey presents a well-selected number of significant artworks and with over 280 colour illustrations provides a broad overview of this new and relevant development in art. "ADAMI'S BOOK IS EXTRAORDINARILY IMPORTANT. ranging from university students to professional researchers." I bought this book to understand the mathematics and physics in A-Life and Complexity.Instead I found this bookvery long winded and difficult to comprehend exactly what was trying to be said.The content and layout of the book is great, just wish a better writer had been the author of this book. Lots of fancy, big words that are not needed to get the basic points across.Very hard to understand what is being said.It takes smarts and skill to explain complicated, abstract ideas in a meaningful manner.This book does not do that.I wish it did! This is the ONLY book I have seen which brings together all the many and various strands which are essential to the exciting new subjects arising currently around the question: What is Life? It is a stunning tour de forceof the basic knowledge you need to possess to work in the areas of A-lifeor biological complexity. I should warn: it's not a book I could readthrough in an afternoon, by any means. At times the descriptions are alittle cryptic, so that I had to work at understanding what was being said.But the effort I had to put in was always rewarded with greaterunderstanding. Thank you, Chris Adami. Adami demonstrates how to use the tools of artificial life to conduct pure scientific research. A very clear and readable textbook on the subject, Adami makes me want to go back to graduate school. Here is a chance to take an introductory course in an exciting field of research that is truelytable-top science. I loved the book and I didn't even use the CD andsoftware that came with it. An excellent textbook for this rapidly changing field. 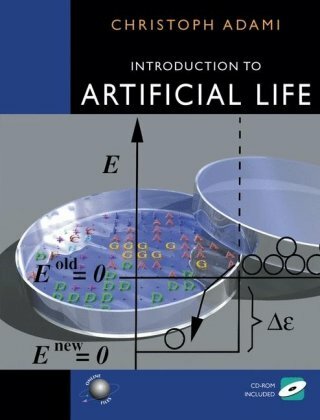 Artificial life is a new field of scientific inquiry that studies biology by attempting to synthesize such biological phenomena as life, evolution, and ecological dynamics within computers and other "artificial" media. 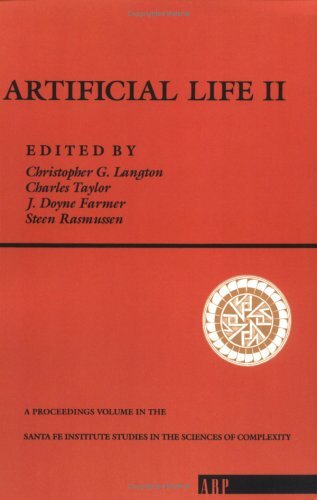 In addition to uncovering new ways to study life as we know it, a life extends research to the larger domain of life as it could be, whatever it might be made of and wherever it might be found in the universe.This proceedings volume, based on the second artificial life workshop held in Santa Fe, New Mexico, 1990, reflects the evolution and horizons of this rich field of study, and builds on the proceedings of the seminal first workshop, held at Los Alamos in 1987 (also available from Addison Wesley). This compendium includes more than 30 papers spanning the spectrum of a-life research, from studies of the origin of life to models of complex systems. Artificial Life is the new Artificial Intelligence. 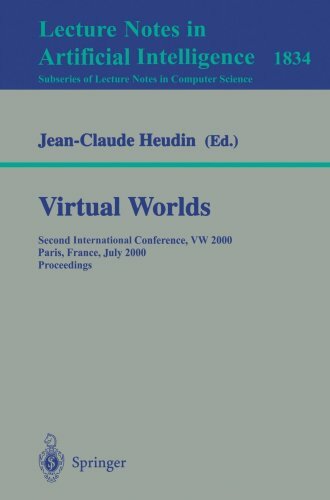 If you are intrested in how biological systems can be simulated via computer or in what contect computer programs or computer simulations can be called alive -- this is the book to read. Eventhou the articials in this book are technical reports from a scientific conference most provide easy reading for the layperson. 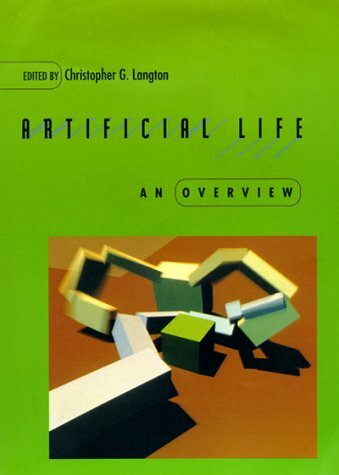 Artificial Life is a fassinating scientific endevor that seeks to do for biology what Artificial Instelligence did for psychology -- model biological processes, instead of mental processes on the computer and look to biology as a model for computation -- using techniques such as Genetic Algorithms, Cellular Automata and Neural Networks. Why not just go to the library and pick up volume 1 of the Artificial Life journal. That's all this is. Did someone really have the gall to sell us a journal twice? Yes, Virginia, I guess they did. Silicon Second Nature takes us on an expedition into an extraordinary world where nature is made of bits and bytes and life is born from sequences of zeroes and ones. Artificial Life is the brainchild of scientists who view self-replicating computer programs--such as computer viruses--as new forms of life. 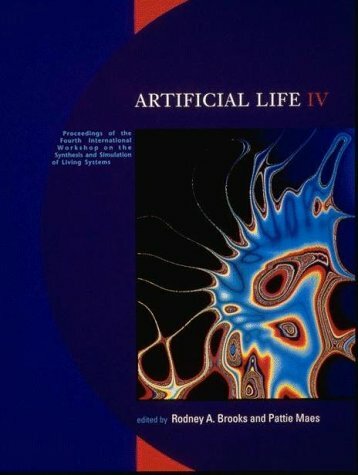 Anthropologist Stefan Helmreich's look at the social and simulated worlds of Artificial Life--primarily at the Santa Fe Institute, a well-known center for studies in the sciences of complexity--introduces readers to the people and programs connected with this unusual hybrid of computer science and biology. Few scientific disciplines are as ripe for ethnographic studyas artificial life, known as a-life, a hybrid, high-tech field withpractitioners who routinely suggest that the self-replicating computerprograms they design not only mimic but actually are livingcreatures. As Stanford anthropologist Stefan Helmreich convincinglydemonstrates, it takes more than just chutzpah to advance such aclaim--it takes a powerful belief system. The belief system Helmreichfingers is the complex web of historical, mythical, and religiousnarratives that form the fabric of modern Western culture. 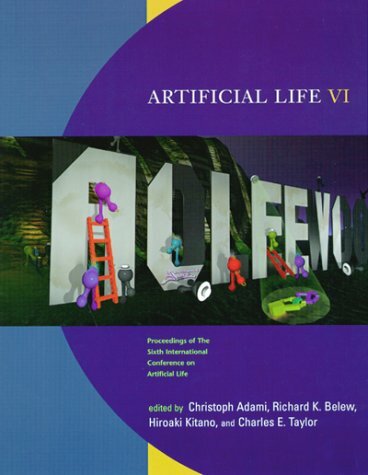 Ofcourse, a good deal of solid science goes into a-life's elaboratedigital simulations of the biological world, and Helmreich takes carenot to let his cultural analysis drown that science out. Indeed, hisdescriptions of the theories and techniques behind some researchers'attempts at concocting artificial life--ranging from simple computerviruses to Tom Ray's globally distributed Tierra system for breedingdigital "organisms"--are occasionally more compelling than his ownattempts to read disturbing racial and sexual mythologies into thoseexperiments. As a novelist, I delight in creating artificial life, primarily the human kind, and the more realistic the better. No wonder, then, that the idea of artificial life interests me in general. Still, my motive to weigh in here comes less from the book itself than from the reviews already posted, since I found little to agree with, whether they offered pans or praise. 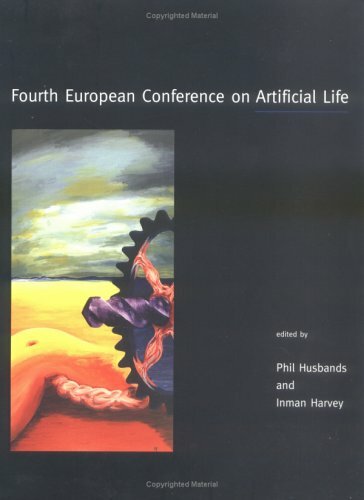 My own take is that Mr. Helmreich deserves four stars, at least for readers seeking a broad and thought-ful intro-duction to the field of computer-resident artificial life (AL). One big plus is that he's an anthropologist, not a super-techie like most AL practi-tioners. Hence, no meandering pages of equations or endless tech-speak. Moreover, an anthropo-logical approach allows examination of not only the notable AL experiments and their methodo-logy, but of the field's intellectual roots, its cultural assumptions, and the perso-nal and professio-nal biographies of its prominent figures. In other words, pure fun by my definition. In the early chapters especially, much is made of how the name AL arose. The emphasis, though, for many practitioners, is on the L, life, with some making extravagant claims that this life is in-distinguishable in "realness" from natural forms that we all acknow-ledge as alive. Sorry, I don't buy it, and Helmreich presents a number of counter arguments. Yet I'm quite wil-ling to settle for the name AL, as long as both words, artificial and life, are accorded equal weight. It's also troubling to read of experimenters who refer to the entities their byte-models of DNA produce as "people" and to themselves as "gods." Certainly Helmreich could have titled that par-ticular chapter Prometheus Lives. One also wonders if these human gods have program-med their people to worship them. From the attitudes expressed, the impulse is clearly there. Helmreich apparently chose not to ask. Nonetheless, I find the experiments fascinating and think they may ultimately tell us quite a bit about evolutionary processes that we currently don't know and have no other means to find out. Perhaps the Achilles Heel in all this isn't the fact that, since AL forms have no corporeal exis-tence, they can't independently store energy in case of a power failure, but that the researchers are in such a hurry. What evolution took billions of years to accomplish they want within their life-times--think Nobel Prize--so all manner of shortcuts abound, even including, in some models, a Lamarckian passing along of traits acquired by individuals within a single generation. As per the old saying, you can have fast, cheap and good, pick two. Yet, again, I'm fasci-nated by what might unfold and not all models are polluted by obvious expediency. The book's major faults represent things I hold the publisher, University of California Press, more accountable for than I do Helmreich. One is that its hardcover pub date remains 1999. A field that is changing--dare I say evolving--at an exploding rate cries out for a new, updated edition, and Helmreich would be a fool to turn down the opportunity, were it offered. The second fault echoes what some negative reviewers have already said. In commenting on prac-titioners at the Santa Fe Institute, AL's international ground zero, Helmreich points out that they are over-whelmingly well-fed, white, heterosexual males with backgrounds in physics and engineering, and speculates that it colors the attributes they program into their AL worlds. Not hard to grasp and likely true. Where this line of analysis goes wanting is that UC Press allowed him to repeat it boringly and redundantly in nearly every chapter rather than simply mak-ing refer-ence to the potential cultural biases previously noted. Authors tend to get carried away with their own words. I know, I am one, but that's exactly why we need, and put up with, editors. I must admit that it took me repeated readings to appreciate the depth of the research that has gone into this insightful book. Dr. Stefan Helmreich's critique of the tribe of Artificial Life scientists is right on, courageous and extremely thought provoking. The cover blurb says "Anthropologist Stefan Helmreich's look at the social and simulated worlds of Artificial Life" and it turns out to be horribly true.I hoped to learn how the programmers viewed their simulated worlds, and how that relates to their culture.Instead I found how Stefan looks at the programmers, and what he thinks of science.The background description of individuals and institutions isn't bad.The rest is. Camille Paglia is not usually classified as an anthropologist, but this book reminded me of her - if she couldn't write well and ignored the culture she wrote about.This book has little bearing on its purported subject, and the author's personal views of science aren't interesting (largely because he's speaking on a subject he clearly doesn't understand).If you want Camille Paglia, read Camille Paglia.If you want an actual anthroplogical study of science or A-life, don't waste your time here. Stefan Helmreich presents an entertaining glimpse into the culture, the lives, and the musings of many of the leading voices in the field of artificial life.One of the real strengths of this book is his ability to offer a perspective from 'inside' the discipline--a view not only of the history and present status and future direction of the field of artificial life, but of the scientists and researchers responsible.That, plus his personal fascination with the subject matter and his obvious writing skills, strike you within the first few pages.This was at times a literate and enjoyable read. Unfortunately, it was also frustrating and, ultimately, disappointing.Frustrating because it is patently obvious that the author approached his subject matter with his ethnographic conclusions firmly in place prior to ever examining the evidence.There is no other way one can explain the lengths he goes to convince the reader that white, heterosexual, male-dominated mythologies lurk under every bush he came across in Santa Fe.As such, truly interesting questions he raises--such as the religious aspect of silicon-based creation--are either left unread by the reader long since turned off by his biased approach, or else unfairly dismissed as equally prejudiced. And disappointing, because in the long run most of his efforts are either irrelevant, or trivial.Computational studies in evolution are at bottom a matter of binary code.Zero's and one's.They are neither black nor white, Baptist or Buddhist, straight or gay, male or female.Now, clearly the researcher at their computer may indeed be any of the above--but that does not change the code itself.So in this sense Helmreich's observations are irrelevant.On the other hand, no one would argue the fact that personal bias may well contaminate interpretations of computational results.Personal bias may well contaminate almost everything we say and do, to one degree or another.But that is a rather trivial observation to make--one that has everything to do with human beings, and next to nothing to do with the science of computational evolution, which is what I had assumed from the title "Silicon Second Nature" that this book was about. The best I can say about this book is that it is the most outstanding example of academic pretentiousness I've ever encountered. The author's acknowledgments alone cover six pages and include over 185 names. My own background includes a college education (philosophy and mathematics) and ten years as a college instructor in computer science. I'm quite used to reading and comprehending technically sophisticated literature, often poorly written. I can even claim to have understood much of Microsoft's documentation for their developer products. Nevertheless, I found Mr. Helmreich's prose quite inpenetrable. If his goal was to explain the people and culture behind the new field of Artificial Life to a lay audience, he has failed miserably. I have a lot of AI game programming books and this is certainly the worst of them. The author explains everything wrong from the very beginning of the book (and I know it because I'm an AI academic), and keeps repeating everything in every chapter without adding anything useful (and with a lot of errors). I thought that by being a very recent book (2008) it would have a lot of better content and more recent techniques, but a book from 2003 (AI Game Development: Synthetic Creatures with Learning and Reactive Behaviors (New Riders Games), my favorite until now) has much more content and with higher quality, without being obsolete. Cyberfeminism and Artificial Life examines the construction, manipulation and re-definition of life in contemporary technoscientific culture. It takes a critical political view of the concept of life as information, tracing this through thenew biology and the discourse of genomics as well as through the changing discipline of artificial life and its manifestation in art, language, literature, commerce and entertainment. From cloning to computer games, and incorporating an analysis of hardware, software and 'wetware', Sarah Kember extends current understanding by demonstrating the ways in which this relatively marginal field connects with, and connects up global networks of information systems. 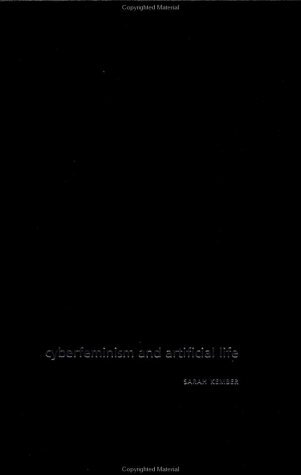 Sarah Kember's Cyberfeminism and Artificial Life follows in the footsteps of Donna Haraway, N. Katherine Hayles and Alison Adams in extending substantial feminist theoretical engagements with the realm of science and technology. 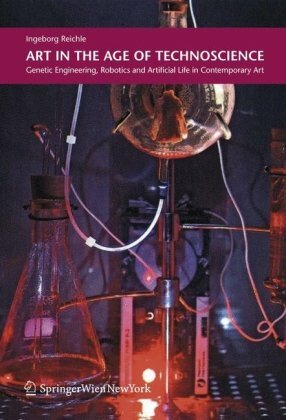 Unlike Haraway and Hayles, Kember's focus on artificial life no longer centres the work on human subjectivity per se, but rather broadens the realm of inquiry to life more generally. 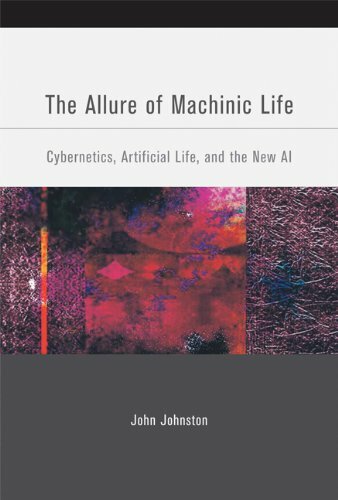 Moreover, while Alison Adam's Artificial Knowing: Gender and the Thinking Machine (1998) focused mainly on the scientific development and cultural resonances surrounding artificial intelligence (AI), Kember's work takes a similar political project but focuses on artificial life (ALife). The key difference between the two is that AI primarily focuses on electronically replicating a human-like mind, working from the top-down, whereas ALife attempts to simulate evolution in a digital system, starting from the smallest byte-size computational programs, attempting to synthesise 'life' from the bottom-up. Kember's stated aims in her book are clear: 'to trace the development of identities and entities within the global information network encompassing both human and non-human environments, and to offer a pluralised cyberfeminist engagement with artificial life as both a discipline and cultural discourse' (p.vii). The differentiation between the scientific discipline and more popular cultural articulation of ALife ideas is particular important, allowing Kember to make specific and separate analyses of the work of scientists and of ALife as imagined more broadly. However, this separation does not prevent a broad picture of ALife being constructed, and it significantly maps areas of both cultural and scientific intersection and divergence. In her brief first chapter, Kember outlines two key points which will guide her reading of ALife. Firstly, that while ALife simulations may hold great potential for revealing information about life-as-we-know-it by examining the natural world's operations (weak ALife), ALife research often slips into arguing that the digital experiments actually illustrate life-as-it-could-be or real 'life' (the strong ALife claim). Secondly, Kember argues that in recent years there has been a 'biologisation of computer science' which entails digital and computational simulations being guided mainly by the biological sciences. While past scientific efforts, such as AI design, tended to view the body as a machine - the brain as a computer, heart as a pump, and so forth - ALife design appears to have come full circle. Kember argues further that this instils a 'new biological hegemony' in the computational and technosciences (pp.6-7). Chapter two, 'The meaning of life part I: The new biology' immediately explores Kember's claims, focusing on the well-known work of Richard Dawkins and his thesis on the selfish gene. Kember reads Dawkins as arguing from a perspective of genetic determinism. Moreover, she argues further that the shift in Dawkins' work from genes to memes--seemingly self-driven culturally replicating ideas--is just a slight of hand which attempts to escape the eugenic overtones of genetic determinism, while actually reinscribing those idea en masse. Dawkins' work is highly influential upon ALife designers as their goal is similarly to cause the spontaneous evolution of life from basic originary units (digital genes), and Kember concludes that the sociobiological genetic determinism of Dawkins is intrinsic to many current ALife design projects. 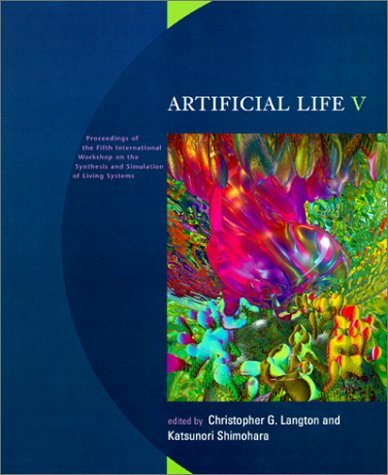 The third chapter, 'Artificial Life', looks more specifically at scientific ALife designers and their work. While many of the ALifers that Kember discusses do appear to hold Dawkinsesque views, Kember makes a number of strong points about inconsistencies between such views and the actual operation of ALife simulations. Key among these is the role of the creator: while evolutionary theory may have 'killed God', ALife designers who purport to model evolution necessarily involve the scientist-as-creator setting the original Garden-of-Eden-like parameters, in effect acting as God for their digital subjects. Similarly, Kember charts the more traditional feminist reading of ALife scientists as enacting parthogenic fantasies of masculine reproduction and birth without the need for women or mothers. The chapter concludes with a carefully balanced call for feminist engagement with ALife which is not exclusively about resisting the hegemony of the biological, but works productively with these trends. 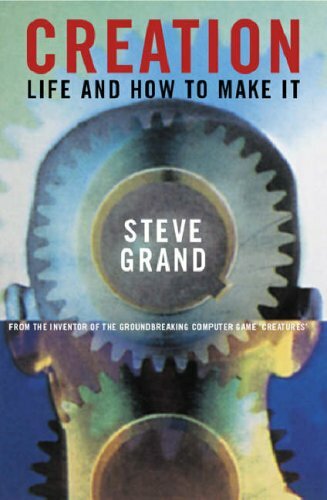 Chapter four shares considerable ground with The Video Game Theory Reader as Kember examines contemporary computer games which use ALife theories, such as Maxis Inc's range of Sim games and Creatures which was actually designed by ALife scientist Steve Grand. Kember looks at most of the Sims franchise, but focuses on SimEarth, which is a planetary evolution simulator, and SimLife which emphasises genetics and evolution in more specific ways. 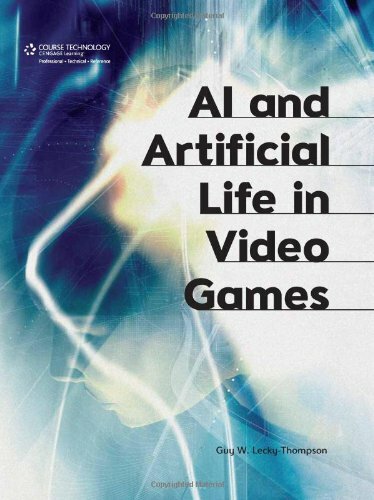 Kember concludes that what 'Sim games do most effectively is naturalise genetic and evolutionary determinism in an environmentalist educational scenario and - in the case of SimLife - introduce ALife in to one area of popular culture' (p.91). Steve Grand's Creatures also provided some insights into the tensions between ALife/game designers and the public at large. Kember notes that while Grand's game was designed to emphasize kinship with the artificial life creatures, often the biggest appeal to gameplayers was to create hybrid creatures or to torture existing ones. These observations, Kember concludes, show a lack of kinship with ALife in the public consciousness. Chapter five, 'Network identities' expands the ideas of ALife beyond science and specific games to look at proto-ALife, such as 'Bots', which are tiny software agents spread across the internet for various purposes and which are sometimes self-editing. 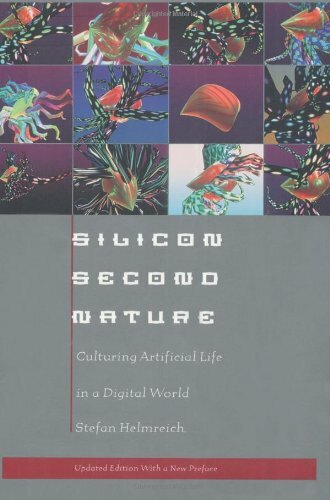 Kember also analyses Nick Gessler's computational anthropology work and his 'artificial culture' simulations which seek not only to synthesize life, but culture per se as well. Chapter six, 'The meaning of life part 2: Genomics', goes a step further, analysing transgenic organisms and so forth which Kember defines as 'wetware artificial life-forms' (p.147). Cloning (both human and non-human), the human genome project, as well as popular films such as Alien: Resurrection and Gattaca are all analysed as part of the broader cultural and genomic imaginary which is, in part, informed by ALife discourses. Kember is careful in these last two chapters to emphasise the importance of dialogue between feminism and ALife (and related discourses) rather than make strongly judgemental claims.